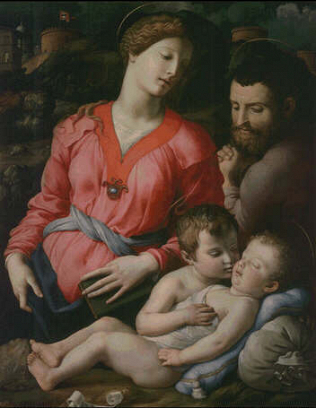 Painted around 1540 for the Panciatichi family, whose portraits Bronzino also painted at about the same time (now in the Tribune). The Panciatichi coat-of-arms appears on the banner on the tower in the top lefthand corner. At the Uffizi since 1919.